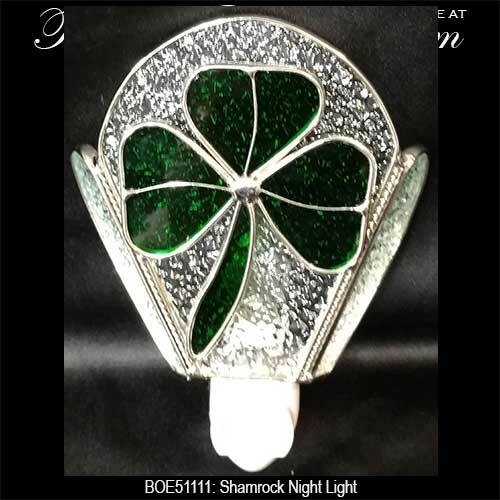 This shamrock night light is enhanced with textured stained glass. 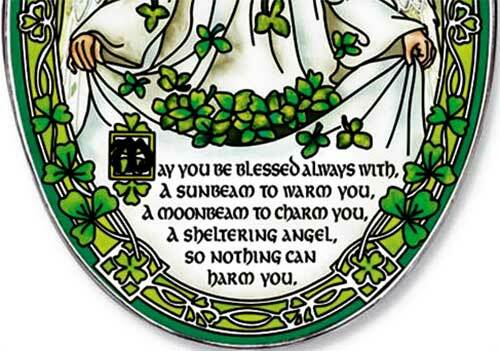 This Celtic stained glass suncatcher features an Irish blessing along with a leprechaun. 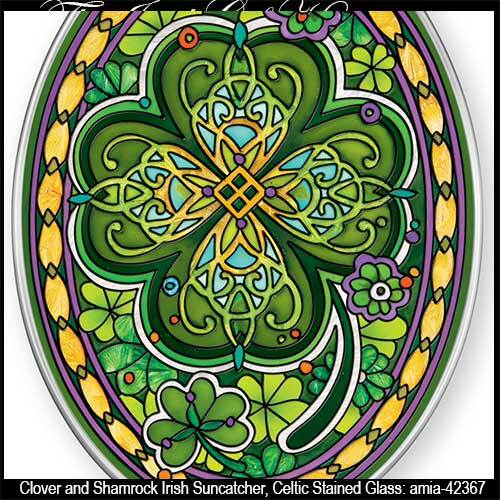 This Celtic stained glass suncatcher features an Irish message along with clovers. 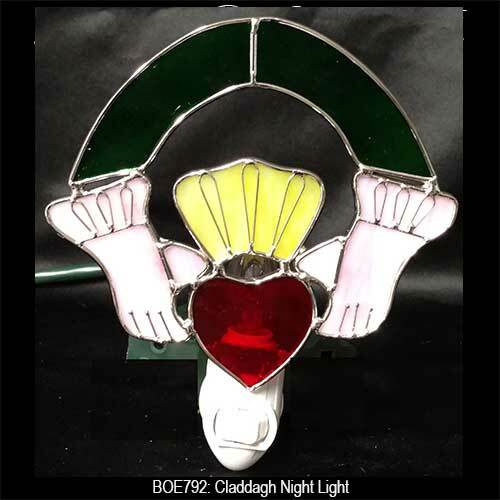 The stained glass gifts section at The Irish Gift House is comprised of selections that can also be found in additional sections such as on the Irish lamps page or the Celtic fireplace screens category, so you may wish to visit those pages to see the complementing items. 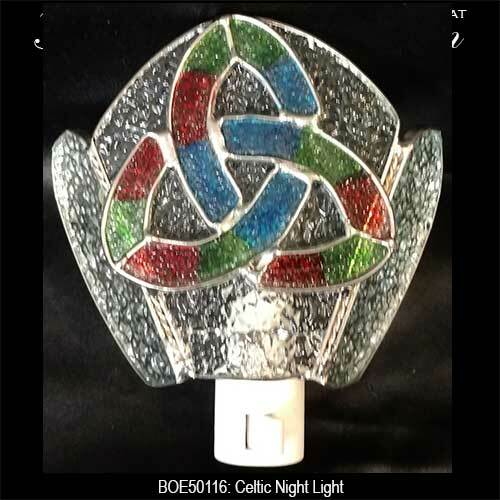 You may also wish to visit our Irish night lights for additional considerations. 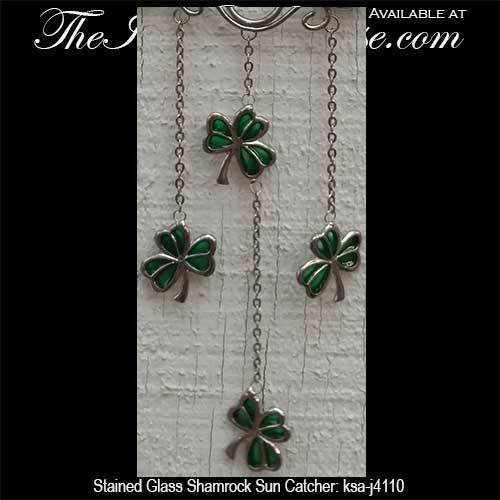 An additional consideration is to browse the Irish Christmas ornaments because there we have dozens of extra options that aren't stained glass. 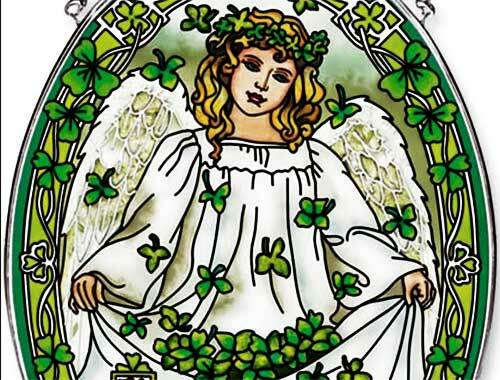 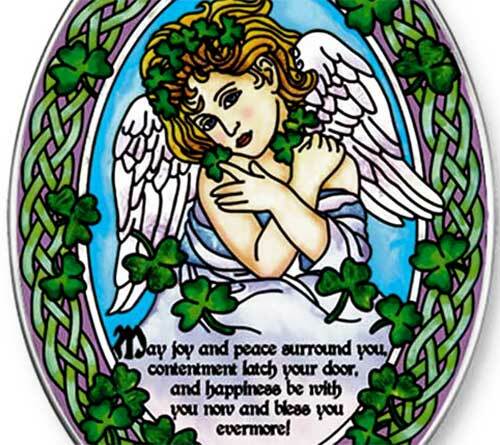 This is also the case with our assortments of Celtic cross gifts and the Irish picture frames; the variations that are in addition to the stained glass selections are truly diverse.